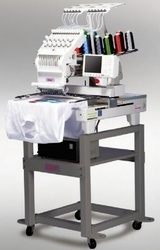 We are involved in marketing of Embroidery Machine that operates as a large embroidery machine or as two independent, smaller embroidery machines depending upon the size of order. Frequently used functions are iconized for easy operation, and even novice can operate the machine without any difficulty by adoption dialogue-style input method for machine set-up and data input (Option). 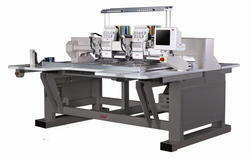 One Machine. Two operations. 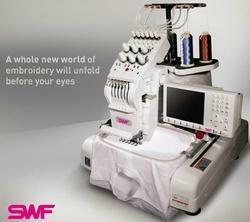 The world’s first dual function machine has two obvious advantages over other machines. 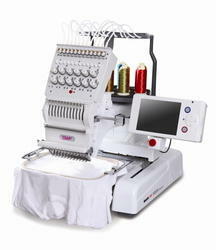 At last, You can embroider two different items patterns at the same time. 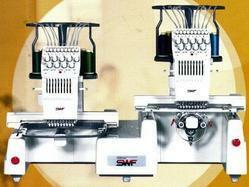 Precise split of sewing threads to small lots. Soft sound & long life span. 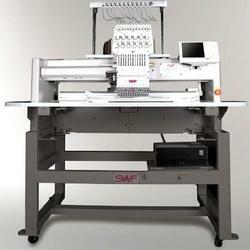 Save money and cost for : Multi head embroidery factories, Quilting embroidery factories. Fastest winding speed in the world 190 pcs one hour. 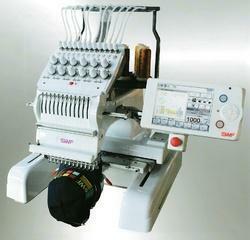 One machine can fully supply 140 embroidery machine heads. Equipped computer and monitor for easy operate. 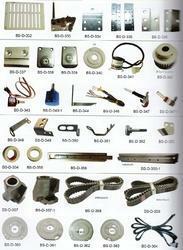 Parts backup and online service safe working with 12v voltage. The color change speed is increased due to ball screw. Servo motor is applied to X-Y structure to realize max. speed 1,200 spm. The wide screen makes it easy for user to see and use. By applying a ball screw, the color change speed is increased and accurate positioning is enabled. 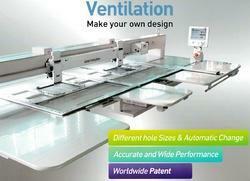 By applying servo motor it is possible to reduce the noise and move accurately. Using LED as work lamps reduces power consumption and extends lamp life. Arm mechanism capable of 1,500 spm operation. 15.1 inch full touch operation panel. Sunstar's unique arm mechanism for 1,500 spm reduces noise and improves durability. Separated needle bar system from presser foot Reducing noise, increasing durability. 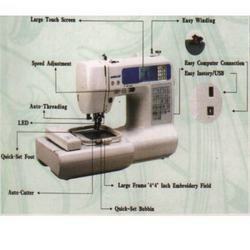 Possible to adjust presser foot's height Depend on thickness of a fabric. Simplify exchange of presser foot Performance of various works. SD series adopt the belt box structure in X-Y mechanism to solve the belt vibration problem. Therefore, it is possible to overcome the limit of the feeding range. Simple heat wire detecting structure. 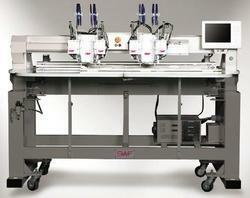 Automatic heat wire cutting device. Stable supply mechanism irrespective of heat wire type. Apply simple and reliable seesaw lever to ensure safe supply of heat wire. After finishing the work to attach the heat wire, the scissor type cutting device completes the heat wire cutting. 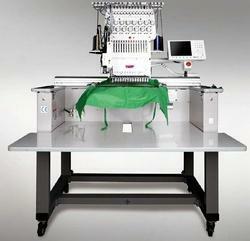 The heat wire feeder delivers perfectly by the motor regardless of any type of heat wire.